Looking for museums in St Petersburg? If so check out our picking list of museums below and learn more about each of them. Hopefully you'll find one that interest you most. Many museums in St Petersburg Russia are worthy of your time and affordable. Some are very popular internationally and feature on tourist itineraries, while others are not so well-known but can still provide valuable insights into the history and culture of Russia. Open all year round, each museum in St. Petersburg displays a unique and varied collection of objects which reflect the history as well as the cultural and political situation of the city in the past. From the fabulous art galleries, cultural and historical museums, to science and technology museums, many of these attractions will intrigue you and possibly make you shake your head, while others will just amaze you. Nevertheless, each of these interesting sites can surely immerse you in the fascinating and stormy history of this beautiful Russian city. And if this isn't enough, you can also visit many others museums devoted to the city's most prominent citizens, which include the great writers of Russian literature, revolutionary politicians or scientists, and other significant historical figures. So with a rich, huge and diverse collection of artworks, paintings, photos, memorials, statues, art sculptures and much more, we are sure you will find the perfect museum to satisfy your thirst for knowledge when you arrive in the cultural capital of Russia. With more than 180 museums, we're sure that it won't be easy for you to decide what to see. So to help you, we have made an organized list of what we think are the most interesting museums in St Petersburg to visit. Eventually we may also add a new list! As the major cultural city in Russia, St Petersburg offers many fantastic museums and galleries that rival the finest in the world, such as the unmissable State Hermitage Museum and the Russian State Museum. Almost all of the museums in St Petersburg display the finest collections of art, music and literature of the past three centuries. If you are a creative or culturally minded person then the following list might be a good choice for you. "A must visit, it isn't world famous for nothing!." 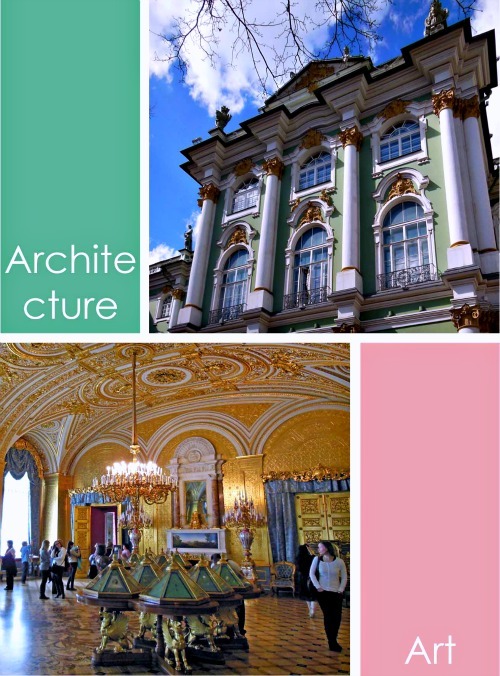 Housed in the Winter Palace, the Hermitage is the most famous and superb art museum in the world. With over 3 million exhibits including some of the world's greatest works of art, here you can find anything from anytime of history and from anywhere in the world. This is definitely one of the most remarkable and biggest museums in St Petersburg, our national treasure of art. If you go, make sure you hire a tour guide if you can, and plan to spend at least 3 hours. Open: Daily 10:30am to 6pm. Last admission is at 5:30pm. Wednesday, till 9pm. Last admission is at 8:30pm. Admission: 600 RUB - entry ticket to the Main Museum Complex and the branches (the General Staff Building, Winter Palace of Peter the Great, Menshikov Palace, the Museum of the Imperial Porcelain Factory) 300 RUB - entry ticket to one of the Hermitage branches (Winter Palace of Peter the Great, Menshikov Palace, the Museum of the Imperial Porcelain Factory, Staraya Derevnya Restoration and Storage Centre). Free admission to all visitors on the first Thursday of each month. Accessibility note: The museum is wheelchair accessible (ramps/lifts). Free wheelchair rentals. Please call in advance as staff assistance may be required. "Most fabulous collection of Russian Art." With more than 400,000 exhibits, ranging from 12th century icons to 20th century paintings, here at the so called treasure-house of national art, housed in the splendid Mikhailovsky Palace, you can find the best Russian art from all periods of time. Surely, the State Russian Museum is the next best site to take in after the Hermitage Museum, as well as, the right place for art lovers. Open: Daily 10am to 6pm. Last admission is at 5.30pm. Thursday: 1pm to 9pm. Last admission is at 8.30pm. Monday: 10am to 8pm. Last admission is at 7.30pm. Accessibility note: The museum is wheelchair accessible (Ramps/lifts). Entrance with wheelchairs from the Embankment of Kanal Griboedova (Benois Wing). Free wheelchair rentals. Tip: People typically spend up to 2.5 hours here. "Another place for art lovers." The Museum of the Academy of Arts is one of the oldest art museums in St Petersburg as well as in the whole of Russia. Unique in its genre, inside you will find different collections of paintings, sculptures, mosaics, antique models, art replicas and statues, all made in the 18th and 19th centuries. So if you are interested in seeing the finest examples of world art, then this is the place to start. Open: Wednesday to Sunday, 11 am to 7 pm. Last admission is at 6:30 pm. Accessibility note: Sorry, this museum is not wheelchair accessible. Tip: People typically spend up to 1 hour here. "A fair exhibition of interesting and unique sculptures." Housed in the Alexander Nevsky Monastery, inside the Necropolis, here you will see the burial sites of outstanding Russian figures, such as Piotr Tchaikovsky, Fiodor Dostoyevsky, Ivan Shishkin, Piotr Klodt, Georgiy Tovstonogov and many others. Although the Museum of City Sculpture is a grim place, the sculptures and monuments are beautiful and the site itself is really worth a visit. Address: 2, Pereulok Chernoretskogo / Near Nevsky Pr. Open: Monday to Wednesday, From 12 am to 7 pm - Thursday and Friday free entrance - Time vary according to the exhibition. Accessibility note: No wheelchair access to this facility. Tip: People typically spend up to 1.5 hours here. "A must for those interested in sculpture and non conformist art." This interesting Russian art museum is one of the newest museums in St Petersburg. Opened in 1989 under the initiative of a number of Soviet artists in St Petersburg, the museum features the art work of Kazemir Malevich - The Black Square art - and other non-conformist great art work collections from Russia, Europe and the USA. Highly recommended for anyone with an interest in the development of modern art in Russia. Open: Wednesday to Sunday, 3 am to 7 pm. "Great presentation of Russian contemporary art." With over 2,000 works in its collection, this is Russia's largest private museum of contemporary Russian art and one of the branches of an international network of galleries (other galleries are located in London, New York and Zurich). The museum and galleries of Contemporary Art "Erarta" is a new, truly world-class, modern museum that many locals are proud of. If you are keen on modern art and have some spare time, try to make a visit. You won't regret it! Open: Wednesday to Monday, 10 am to 10 pm. Accessibility note: There is no special equipment for wheelchair-bound visitors, but there are ramps and spacious elevators/lifts and halls are spacious with wide doors. The Museum of Dolls is an old fashioned museum that displays a wide collection of hand-made dolls. We've been here once and were amazed by the number of beautifully designed dolls. Although it is a fun place for kids, it probably won't be the best experience in the city, but it is still worth a visit. "A cool place for photographers." Founded in 2003, the museum of the History of Photography is not yet well known, but it has the potential to become one of the world's best museums for photography. Inside you will find a vast and diverse collection of photos taken by leading photographers from around the world, as well as a wide range of antique cameras and developing equipment. If you love photography, it is worth a look. Closed: Sundays and Mondays. Closed in July and August. Housed in the gorgeous School of Art and Design named after Baron A.L. Stieiglitz, this museum has over 1800 exhibits. The museum includes the city's only collection of furniture from the second half of the 19th century as well as ceramics, porcelain, metalwork and much more. Ceilings are painted by students from the Academy, and it is clear that they are the cream of the crop. Surely a good side tour to complement the Russian Museum and the outstanding Hermitage. Open: Tuesday to Saturday, 11am to 4:30pm. Last admission is at 4pm. Closed: Sundays, Mondays and the last Friday of each month. Accessibility note: Sorry, this museum is not wheelchair accessible (stairs). The Imperial Porcelain Manufacturer, founded in 1744 under decree of the empress Elizabeth, was the first porcelain company in Russia. Today, the museum at this Factory is a branch of the Hermitage and displays the history of Russian porcelain making from the mid-18th century to the present day. Named after the father of Russian porcelain, Mikhail Lomonosov, this is an interesting and fashionable place to visit; especially if you like antique porcelain and want to buy really beautiful porcelain for yourself or as souvenirs for your friends. Open: Tuesday to Saturday, 10:30am to 6pm. Last admission at 5pm. Sundays, 10:30am to 5pm. Last admission at 4pm. Admission: RUB 300.00. Children/students: free. Accessibility note: This museum is not wheelchair accessible. Some access for visitors with limited mobility: there is an elevator/lift, but stairs at the very entrance. With over 300 years of history very well preserved and documented in a number of extremely interesting museums, the city of St Petersburg has a huge historical heritage that very few cities in the world can compete with. If you want to learn about the foundation of the city, the vital role the city has played in the past or to learn about the millions of Russians who sadly died during WWII, then why not plan a visit to some of the museums in St Petersburg listed below. "On the outside, ordinary. On the inside, extraordinary!" The Peter and Paul Fortress is the first must-see historical place for all visitors to St Petersburg. Inside you will find not only a great architectural complex, including the small Peter and Paul Cathedral, but also a number of museums, such as the headquarters of the St Petersburg City History Museum, the History of the Peter and Paul Fortress and many others. This place houses the tombs of many historical figures of Russia, including Peter the Great, Alexander II and Nicholas II. Every ornament is gold-plated and very baroque-style elaborate. Open: The grounds of the fortress at open 6am to 10pm. All exhibitions are open daily, except Wednesdays, 10 am to 6 pm. Last admission is at 5 pm. Tuesdays, 10 am to 5 pm. Last admission is at 4 pm. Admission: Combined ticket to all major attractions (Peter & Paul Cathedral and Grand-Ducal Burial Vault ): RUB 350.00. Accessibility note: The Cathedral and the grounds are wheelchair accessible. Other exhibits are not wheelchair accessible (stairs, curbs, cobblestone pavements). "A must see for history buffs." 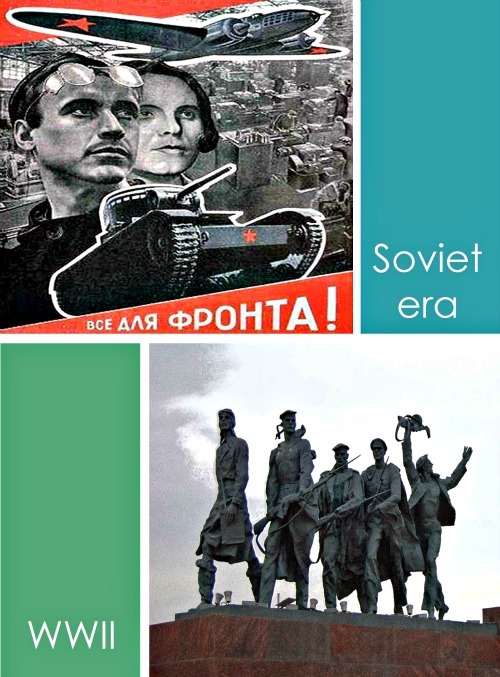 The Political History Museum includes more than 400,000 exhibits, from the Russian civil war to the Soviet era up to now. Divided into two buildings, one of which was owned by a brilliant ballet dancer, Mathilda-Marie Kschessinskaya, and the other which was built for a famous timber merchant Baron Brandt, this is one of the most interesting and fascinating museums in St Petersburg housing a unique and vast collection of diverse Russian history. Definitely a great place to start to learn more about the history of Russia! Open: Daily from 10 am to 6 pm, Last admission is at 5 pm. Closed: Thursdays and on the last Monday of each month. Photo & video: Photo free. Video not allowed. Accessibility note: Sorry, this museum is not wheelchair accessible (no elevator/lift, many stairs). "A Piece of history worth visiting." The Cruiser Aurora, which battled the Japanese Navy in the Russian-Japanese War, is now a museum ship moored in Petrograd Side. It played a key role in the start of the Bolshevik Revolution in 1917. Basically, with one shot it ruined Russia for 75 years, so this is a very good piece of history to see! It's a sizeable ship and certainly looks impressive in its mooring. The Aurora is now maintained by cadets from the nearby Nakhimov Navy School. If you want to get a real feel for what the Russian citizens endured during the siege of Leningrad in WWII, then you should see this sorrowful but interesting Russian museum.The museum concentrates on the efforts to defend the city, on the Ladoga road, rations, casualties and the cultural life which was maintained through much of the period. Inside you will find some confiscated Nazi tanks and aircrafts along with 37,000 other exhibits. Open: Thursday to Monday, 10 am to 5 pm. Last admission is at 4 pm. Tuesday, 10 am to 4 pm. Closed: Wednesdays and the last Thursday of each month. Accessibility note: Limited access for wheelchair-bound and limited mobility visitors. Please call in well advance as staff entrance will be required to use elevator/lift. "A moving memorial worth your time." This majestic Memorial Hall, faced with granite and marble, was dedicated to the citizens and soldiers of Leningrad who lost their lives defending St Petersburg from Nazi attack during WWII. This is one of the most moving museums in St Petersburg as well as the most respected place in the city. The small museum inside the complex display a dozen glass cases showing aspects of the siege, including examples of how small the food ration portions were. You'll learn the people made soup out of leather belts just to stay alive, and much more. Very moving and thoughts provoking. Admission: RUB 100.00. Children/students: RUB 60.00. Free admission on Memorial days: Jan 25, Feb 23, May 9th. Accessibility note: Some wheelchair access is available. There is a wheelchair lift but appointments should be made one week in advance. "Off the beaten track museum worth visiting." This is another good St Petersburg museum about the siege of Leningrad and the city's war during WWII. Passing from one hall to another, you will learn about different aspects of the Siege and follow the timeline from the start to the end. It is surprisingly quiet and not crowded place even in high tour season and it preserves beautiful interiors, including amazing film footage and photographs which really capture what those years must have been like. If you want to dive into the past of the Siege in a clear and organized way, this is the right place to visit. Open: Thursday to Monday, 11 am to 6 pm. Tuesday, 11 am to 5 pm. "A somber and vivid reminder of Russia's terrible suffering in WW II." To truly understand the scale of the tragedy that St. Petersburg lived through during the 900-day Siege of Leningrad, you should visit the Piskarevskoye Memorial Cemetery. Here you can walk through half a million grave sites in the middle of a vast green open space. A small museum at the entrance to the cemetery will tell you the truth about the tragedy experienced by the people of Leningrad. As this is another moving place, prepare yourself as this spot will make you think and maybe cry. Directions: From Ploshchad Muzhestva Metro Station, take buses Nos. 123, 138 or 80 east along Prospekt Nepokorrenikh. From Akademicheskaya, take buses Nos. 78 or 61. Open: Monday to Sunday, 9 am to 6 pm (cemetery to 9pm in summer). "The museum of the great Russian commander." The Alexander Suvorov museum displays an interesting collection of military memorabilia depicting the life of one of the most respected generals of Russia, Alexander Suvorov, who led troops to victory during the Crimean War. The museum is situated in a nice purpose-built building designed in Russian Revival style. If you are interested in military art, you should schedule a visit to the museum of the author of the manual "The Science of Victory". Open: Daily, 10 am to 6 pm. Last admission is at 5 pm. Wednesday 1 pm to 9 pm. Last admission is at 8 pm. Accessibility note: Full wheelchair access is available. "An interesting little Museum to commemorate Russia's major writer." This museum, dedicated to Russia's most celebrated poet Alexander Pushkin, is the oldest and one of the largest literature museums in St Petersburg and in the whole country. 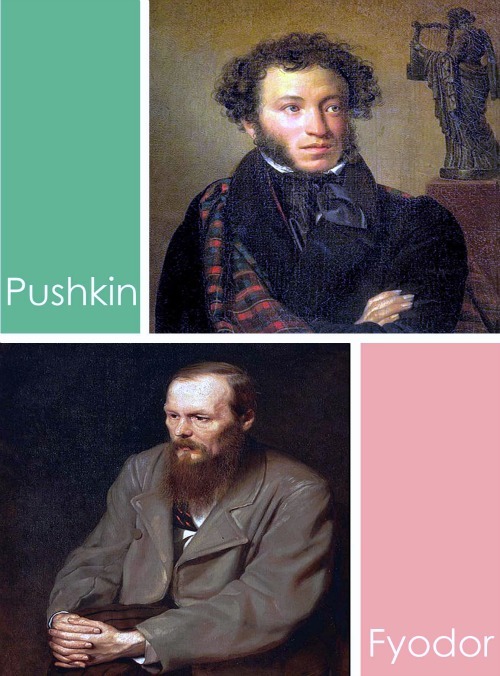 Aside from Pushkin's things, you will find a rich collection of art and documentary materials relating to the history of Russian literature and portraits of Russian writers from the 18th-20th centuries. This is a really cool place to go if you're a lover of literature or a fan of Alexander Pushkin. Open: Wednesday to Monday, 10:30 am to 6 pm. Last admission at 5 pm. Photo & video: Photo: RUB 200.00 Video: RUB 200.00. Audio-guide is available (in Russian, English, French, German and Italian). "A Modern and Inspiring Museum." Featuring an extensive permanent exhibition about the origin and development of religion in the world, the Museum of the History of Religion is one of the world’s few religious museums and the only one of its kind in Russia. Here you'll learn about archaic beliefs, the religions of Egypt, Greece and Rome, Judaism, Islam, Buddhism and different branches of Christianity. If you are into the history of peoples beliefs, all the way from Animism, Totemism and Shamanism to the mainstream religions like the Abrahamaic religions and Christianity or Islam, then this is a must visit for you. Open: Daily from 10 am to 6 pm (ticket office until 5pm). Thursday from 1 pm to 9 pm. Admission: Adult: RUB 400.00. Students: RUB 200.00. Students ISIC: RUB 100.00. Audio-guide: RUB 100.00. Free admission to all visitors on the first Monday of each month. Accessibility note: This museum is wheelchair accessible, with ramps and wide doors. Staff assistance may be required. "A touch of the James Bond in St Petersburg." Now part of the excellent Museum of Political History, this small Russian museum displays a rare collection of documents, uniforms and other exhibits about the history of the political police in the Russian Empire and Soviet republic from 1826 to 1926. This is the only place in Russia where you can see the rare historical exhibits from VCHK, the KGB and other special police agencies. Housed in a former Tsarist police administrative office if you're interested in history. Open: Monday to Friday, 10 am to 6 pm. Last admission is at 5 pm. "Fun place to visit, and experience real Russian vodka." This museum and the restaurant inside are interesting both places where you can get a quick education on different types of Russian vodka and its history while drinking some. With a massive collection of vodka bottles, delicious Russian food and a good atmosphere, this could be a great place both for sightseeing and eating out, especially if you want to taste vodka and experience real Russia. Open: Daily, 11 am to 10 pm. St Petersburg’s stunning architecture, history, ballet, opera and museums are not the only things drawing visitors to this popular tourist city. The city of Peter the Great also attracts many literature fans every year thanks to the vast Russian literature legacy left by the many Russian novelists, writers and poets. So if you love the masterpieces of Pushkin, Dostoyevsky or Nabokov, just to name a few, then you should visit one of the museums in St Petersburg listed below. “Dedicated to Russia's most loved poet”. This is the flat where one of the greatest and most loved Russian poets lived and died. If you want to see an interesting private collection of Alexander Pushkin, then visit this place as it will tell you about his life and his works. Here, you'll definitely understand why Russians say "Pushkin is our everything". Tip: People typically spend up to 2 hours here. "A must-see sight for lovers of Dostoyevsky's novels." This Russian museum is really worth visiting if you want to dive deeply into the atmosphere of the golden era of Russian literature and get to know more about the famous Russian writer Fyodor Dostoevsky. Attracting large numbers of Russian and foreign visitors every year the Dostoyevsky museum is considered one of the most famous literature museums in St Petersburg. Open: Daily from 11 am to 6 pm. Last admission is at 5:30 pm. Wednesday from 1 pm to 8 pm. Last admission is at 7:30 pm. Accessibility note: Not suitable for wheelchair-bound and motion-impaired visitors (no elevator/lift). "A window in the life of Anna Akhmatova and history of St. Petersburg'"
This ordinary apartment, located on the wing of the Sheremetyev Palace, is entirely dedicated to the life of the Russian poetess Anna Akhmatova. Once inside, you will be navigated through the most important and crucial milestones in her life and will really feel the atmosphere of that time. This small and quiet museum has its own atmosphere and opens a window to get sense of Akhmatova's life and St. Petersburg in the first part of 20th century. Although a bit off the beaten path, it is really worth a look. Open: Tuesday, Thursday, Friday, Saturday, Sunday, 10:30 am to 6:30 pm. Last admission is at 5:30 pm. Wednesdays, 1 pm to 9 pm. Last admission is at 8 pm. Accessibility note: Elevator is available. Please call in advance as staff assistance may be required. "Must stop for Nabokov fans!" The Nabokov House museum, devoted to the famous Russian writer Vladimir Nabokov, is a nice window into Nabokov's life, including his books, his butterfly collection and his drawings of butterflies. This is another interesting place to visit with a humble collection of varied objects, especially if you are a fan of his works. Most importantly it is right downtown near other tourist sites so if you have a spare hour you can drop in for a crowd-free respite. Open: Tuesday to Friday, 11 am too 6 pm. Saturday and Sunday, 12 noon to 5 pm. "The shadows of the past." This 18th century apartment was turned into a museum dedicated to the symbolist poet Alexander Blok. 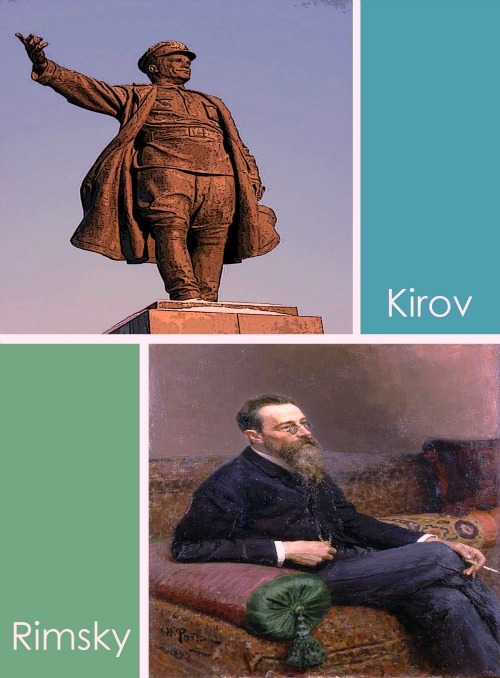 Once inside you can find a private collection that will introduce you to the work and life of the poet of the Silver Age of Russian literature. This is another fascinating museum and a typical soviet flat which reveals the history of the era, personally one of our favorite museums in St Petersburg. Worth a visit if you love blocks and can speak or read a little of Russian. Open: Daily from 11am to 6pm (to 5pm on Tuesdays). Ticket office closes one hour before the museum. This small old flat of Mikhail Zoshchenko, one of the most iconic figures in Soviet satire, was turned into a museum in 1992. Zoshchenko’s works made him one of the most widely appreciated writers in modern Russian literature. Today, many Russians come here to see his funny works, but not many foreigners. Worth visiting only if you know the character or want to see something off the beaten track. Many writers, revolutionary politicians, scientists and other important figures have lived and worked in Saint Petersburg in the past three centuries. Those people with their talent, intellect, creativity and dedicated labour have made the Northern Capital of Russia the cultural and vibrant city of today, now famous all over the world and admired by millions of people. Several museums have been built in St Petersburg to remember them. If you're interested in this kind of museums in St Petersburg, see our list below. The Log Cabin, situated in the Petrograd Side, was the first homestead in Saint Petersburg. Peter the Great built this simple house himself and lived here for six months whilst the town was being designed. This interesting, small building made of wood is a remarkable piece of history erected inside the famous summer garden. Unless you can read Russian, you might be better off taking a guided tour as most of the signs are in Russian. Open: Wednesday to Sunday, 11 am to 9 pm. Last admission is at 5 pm. Mondays, 10 am to 5 pm. Last admission is at 4 pm. * Details are approximate for this site. "An interesting place to see, worth visiting if you're familiar with the scientist's work." Lomonosov Museum, located within the Kunstkammer on the Vasilievskiy Island, is a memorial museum dedicated to the scientist, poet and forward thinker Mikhail Vaslievich Lomonosov. Inside the museum you can see a display of Lomonosov's personal belongings and his literary and scientific works, which are all housed in a room which was once the laboratory of this outstanding scholar and natural scientist. This is the only Russian museum, where you can learn the history of Russian science in the 18th century. So do not miss it! Open: Daily from 11am to 6pm, Last admission is at 6 pm. Admission: Adult: RUB 250.00. Students/children: RUB 50.00. Admission is free on the third Friday of each month. "Dusty and dark, but authentic and fascinating!" This apartment-museum is devoted to the life and activities of Dmitriy Mendeleev, a scientist and professor who devised the famous Table of Elements. Inside the apartment, where he lived from 1866 to 1890, you will find an interesting collection of manuscripts, letters, working drafts, diaries and notebooks that expose the life and scientific work of Mendeleev in St Petersburg. If you go hire a private guide for a better experience. Open: Monday - Thursday from 11:00 am to 16:00 pm. Must call in advance to organize. "A museum of amazing genuineness." This is another historical soviet apartment now turned into a museum dedicated to the life of the great physiologist Ivan Pavlov, famous for the development of the "conditioned reflex" concept. This place, where Pavlov lived for 18 years, represents an authentic example of the lifestyle of the Russian intelligentsia of that time. Somethings of particular interest here are rare books, paintings and unique collections of insects composed by Ivan Pavlov himself. Open: Monday to Friday, 11 am to 5 pm. Visit only with organized group or by prior arrangement. "Immerse yourself in the world of music." This memorial apartment museum, dedicated to the famous Russian composer Nikolai Rimsky-Korsakov, is the only composer’s museum in St Petersburg, Russia. This small apartment, where Rimsky lived for fifteen years, will give you a glimpse into his daily life and his surroundings. Inside you'll find his study, the dining room, the sitting room, and a concert hall. The rooms display the composer's personal belongings and numerous family relics. If you are a fan of Russian classical music, don't miss this place. "Far north of the city center, but worth it." This branch of the Museum of Theater and Music is the best memorial museum in Russia dedicated to the life and work of the great opera singer Fiodor Chaliapin. Inside this impressive and intimate apartment, you will see interesting exhibition rooms in which photos, theater billings, programs and documents reveal the singer's life. 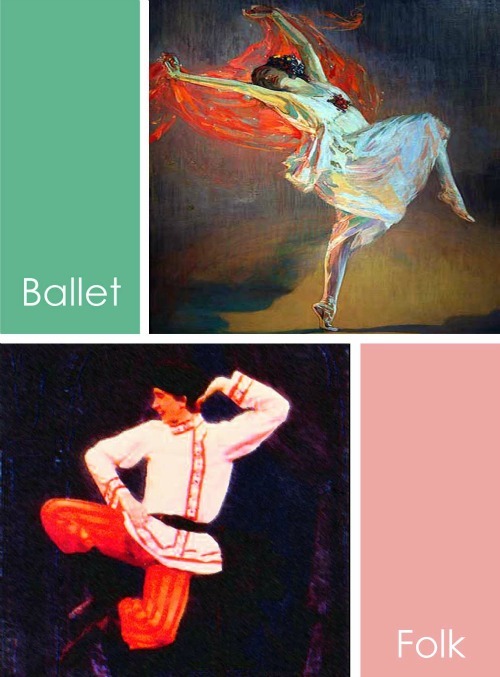 The works exhibited are of considerable artistic as well as historical interest, so if you know anything about Russian music or musicians, this will fascinate you. "A glimpse into how the top brass lived." If you want to see with your own eyes how a Communist leader lived, then you really must plan a visit to the Sergey Kirov house, now a popular museum. Stacked with books, working papers and personal belongings, this soviet flat, in which Stalin was a guest and Kirov lived and died, takes you way back to the 1920’s and 30’s. This is a very fascinating memorial apartment, where everything is there as it would have been. A hidden little gem to explore, especially if you're keen to learn more about the Soviet life style. Accessibility note: Elevator/lift is available. Please call in advance as staff assistance may be required. Since the city's foundation, St Petersburg's cultural life has always been influenced by classical music, ballet, opera and Russian folk music. If you are a lover of classical music and theater from the 19th and 20th centuries or you just want to know more about it, then you should plan a visit to one of the two museums in St Petersburg listed below. If you go, check to see if they have evening events or concerts planned, as you can see more of the buildings at night. "The main building of St. Petersburg State Museum of Theatre and Music." This unique and informative Russian museum is located in the building of the former directorate of the imperial theaters, built by the famous architect Carlo Rossi. Considered one of the biggest theatrical museums in St Petersburg and in the world, the Museum of Theater and Music can display only a fraction of its enormous collection in the three halls currently open. If you are a lover of theater and music this is a wonderful place to visit. Accessibility note: No wheelchair access to this museum. Known as one of the world’s largest museums of its kind, the Museum of Musical Instruments is a fun opportunity to discover inventive ways Russians and others have made music over the centuries. Housed in the Sheremetev Palace, where the Sheremetev family lived before the 1917 Revolution, here you can find an interesting and extensive collection of musical instruments from all over the world. Music lovers will definitely enjoy a visit here. So if you are one of them, give it a try! Open: Daily 11 am to 7 pm. Last admission is at 6 pm. St Petersburg is not only Russia's cultural capital, it is also a major industrial and scientific center with some of the finest universities and research institutes in the country. Starting with the Kunstkammer, the first scientific museum in the city, you can now find a lot of museums in St Petersburg dedicated to a wide range of scientific disciplines. If you are keen on all fields of science, then the following museums in St Petersburg listed below are worth checking out. "Historical Natural History and oddities." Officially known as the Peter the Great Museum of Anthropology and Ethnography, this was the first museum in Russia to be built. 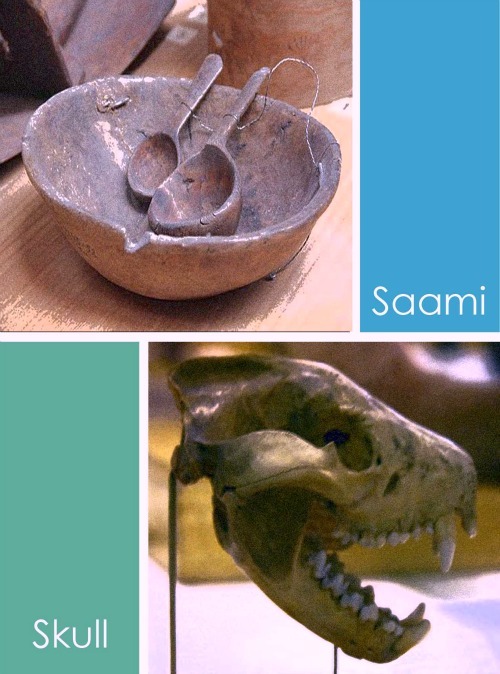 Inside, you can find great anthropological and archaeological collections as well as a weird but interesting collection started by Peter the Great and then expanded by past scientists. It offers a truly global view of the world and its cultures through clothes and artifacts. If you are a fan of anthropology and want to see the symbol of the Russian Academy of Sciences, this place is a must visit for the whole family, though it is a bit odd. The Ethnographic Museum is a great museum not to miss. Known as the museum of the peoples of Russia, is situated next to the Russian Museum on the Square of Arts. It houses a wide and unique collection of exhibits detailing the customs, clothes and ethnicity of the hundreds of distinct cultures of the people who made up the regions of the Russian Empire, Soviet Union and current Russian Federation. Definitely one of the best museums in St Petersburg to get a wide glimpse of Russian culture, often empty as guide books do not promote it. Open: Tuesday, 10 am to 9 pm. Last admission is at 8 pm. Wednesday to Sunday, 10 am to 6 pm. Last admission is at 5 pm. Accessibility note: Wheelchair access is available. Elevators at the entrance and within the museum. Please call in advance as staff assistance may be required. "A must for families with kids!" The Zoological Museum is a great outing for the entire family that's located near the Spit of Vasilievskiy Island. With nearly 30,000 specimens of animals from all over the world on display and a total of 17 million species in their collection, this unique museum can be overwhelming. Considered the largest zoological museum in Russia, this place is a must-see for anyone, especially for those who love animals. If you go there, don't miss the famous "baby Dima", the world's only stuffed Mammoth. Admission: Adult: RUB 200.00. Students/children: RUB 70.00. Free admission last Thursday of each month (excluding periods of high school holidays). Accessibility note: Limited wheelchair access only (ramps). "A little gem in a most unusual location." This is the biggest museum in the world presenting the history of the exploration of the planet’s coldest zones and their natural features. The museum displays a collection of 75,000 artifacts and a series of beautiful paintings of snowy landscapes, seascapes and scenes of expedition sites and native wildlife. The interesting thing is that the museum is located in the oldest neoclassical church of St. Nicholas (which was harmed during the Soviet reign). The museum has most of the labelling in Russian. However, an excellent English audio guide is available, and if you use the map and guide together you will not miss out on anything. Open: Wednesday to Saturday, 10am to 6pm. Last admission is at 5:30pm. Sunday, 10am to 5pm. Last admission is at 4:30pm. Accessibility note: Limited access for wheelchair-bound visitors: only the 1st floor (Arctic). Cloakroom and bathrooms are not wheelchair accessible. "A specific museum for Geologist lovers only." Named after Academic Feodosiy Chernyshev, the Central Research Museum of Geological Prospecting is considered one of the world’s largest natural science museums. Once inside you will be introduced to over one million specimens of earth material, minerals and petrifaction. This is an interesting geological museum, but maybe boring if you do not like the subject. Open: Monday to Saturday, 9 am to 5 pm. "An impressive museum housed in a stunning palace." Founded in 1773 within the St Petersburg State Mining University with the purpose of training engineers and geologists to expand the mining of precious metals and minerals, the Mining Museum displays a unique collection of over 230,000 mineral samples. Housed inside an amazing neoclassical building in the style of a Greek temple, the museum is worth visiting only if you like this kind of subject. Open: Monday to Friday, 9 am to 5:15 pm. Friday, 9 am to 4:15 pm. Saturdays - only Russian-language tours for individual visitors at 11 am and 1 pm. Visit by prior appointment only. "An interesting museum showing all of the soils of the world." Dedicated to the famous naturalist and soil scientist Vasily Dokuchayev, the Central Museum of Soil Science offers an interesting collection of soils developed exactly by Dokuchayev, an internationally acclaimed soil scientist. There are over 2,000 exhibits on display, and a third of them come in the form of monoliths - sections of soil structure intact. Also in the museum you can see dioramas, paintings, plant samples. Definitely an interesting museum for kids and not only, where to get a grasp about soil science and related disciplines. Open: Monday to Friday, 11 am to 5 pm. Admission: Admission for individual visitors on Tuesdays only. All other days – organized groups and tours by prior arrangement. Along with different scientific museums, the city of St Petersburg offers many technology museums that reflect the power of Russia and its industrial and technological developments. Technology and engineering have always played a key role in Russia. So if you want to get a glimpse into the great discoveries of the past, as well as of today, then make sure you plan a visit to some of the technology museums in St Petersburg listed below. "A great military museum with a lot to see!" This Russian army museum is the largest of its type in the world, a spend-the-whole-day sort of place for any military history buff. It has two floors in a massive space plus a large front yard in front that is used for the display of field artillery and rocket launchers. Inside you can find a huge collection of artillery, engineering and communication as well as a range of medieval weaponry and of World War II. A great place to be for any military history buff and Red Army lovers. Closed: Monday, Tuesday as well as the last Thursday of each month. Accessibility note: Wheelchair access is available to main collections on the 1st and 2nd floors. Third floor is not accessible. "A very engaging place to visit!" The Central Naval Museum is one of the earliest museums in St Petersburg and one of the largest naval museums in the world. Inside the museum, you will find a collection of more than 700,000 exhibits connected with navigation and shipbuilding. Many of them are masterpieces of decorative and applied art along with paintings and sculptures of famous Russian and foreign artists.Originally located at the tip of Vasilievskly Island in the crumbling old Stock Exchange building, now you can find it in a wonderful updated and modernized old building. Open: Wednesday to Sunday from 11 am to 6 pm, Last admission at 5.15 pm. Admission: MUSEUMS: Adults - 500RUB. Students - 300RUB. Temporaly Exhibitions: Adults - 600RUB. Students - 400RUB. Excursion (group) in English: RUB 500.00 each. Accessibility note: Limited wheelchair access available. "An amazing museum for those who love model trains." This is undoubtedly the country's best museum about railways and one of our favorite museums in St Petersburg. Once inside you will find a complete collection devoted to the development of railways in Russia and the former USSR, from the very first Russian steam locomotive. If you are a collector or want to learn more about Russian railway history then a visit to this Russian museum should be a must on your to do list. Unfortunately, labelling is in Russian, so hiring a tour guide would come in handy. "A great museum of history of the development of rocket technology in the Soviet Union and Russia." This is one of the several Russian museums in St Petersburg that you will find inside the famous Peter and Paul Fortress. The museum displays the history of the development of rocket technology in the Soviet Union and Russia. Among the exhibits, you will find a number of historic rocket engines, as well as a Soviet era re-entry capsule, cosmonauts' space suits. We've been here once and it was very impressive. 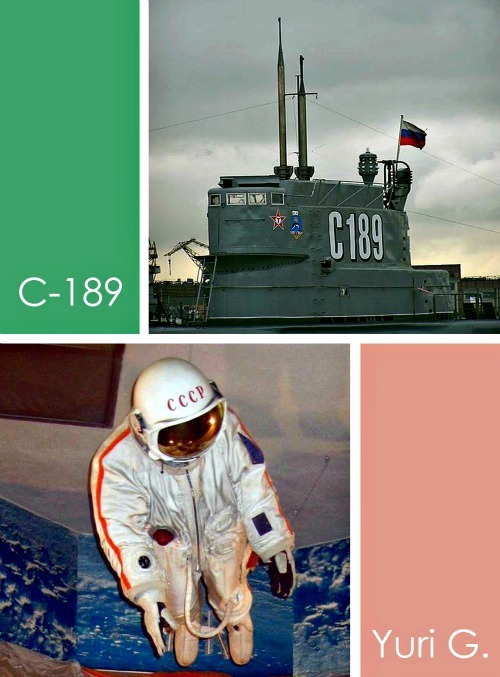 If you want to see a vast collection of photos, stamps and uniforms related to Russian space exploration, then this is really an alternative place to visit. Closed: Wednesdays and the last Tuesday of each month. This historic ship, moored off the southern bank of Vasilyevsky Island, is one of the more recent additions to St. Petersburg's museum scene. Now a floating museum, once it took part in the rescue operation to save the Italian polar expedition led by Umberto Nobile. The icebreaker also played a key role during WWII. This is a really intriguing piece of history that displays the power of Russian technology. A tour through the ship will enlighten you on its purpose, especially in the Artic Circle. Address: 22, Naberezhnaya Leitenanta Shmidta, corner of 23rd Liniya, V.O. Admission: Adult: RUB 300.00. Students: RUB 150.00. Children: RUB 70.00. Note: Children under 14 years of age should be accompanied by an adult. "An impressive submarine worth visiting for anyone." The submarine “Narodovolets” was one of the first Soviet submarines built in 1929. A veteran of WWII, now it is a fascinating example of shipbuilding in Russia. Honestly, this historical memorial of the Russian Navy is worthy of your time because the interior of the ship looks exactly the same as it looked in the 1940's. Accessibility note: Not suitable for wheelchair-bound or motion-impaired visitors. "An other great submarine worth visiting for submarines lovers." Another floating museum in St Petersburg also is located in the oldest Russian Submarine C-189. Fully restored and now open to the public, this submarine is less known than the D-2 Narodovolets, but in a way it is even more interesting as it is not on the shore, but in water. Once on board, you are free to wander the length and breadth of the vessel and to touch whatever you want. So don't miss the chance to tell your friends that you have been inside a Russian submarine. Open: Wednesday to Sunday, 11 am to 7 pm. Last admission at 6 pm. "An unusual and very interesting museum to discover." Named after the great Russian radio pioneer Alexander Popov, this is the only museum devoted to the history of the post and postal communications in Russia. Offering a number of entertaining interactive displays alongside more traditional exhibits, such as a superb collection of Russian, Soviet and foreign stamps as well as a vast collection of communication equipment, this is an excellent Russian museum for adults and children. This site is also one of the most visited museums in St Petersburg among Russian students. If you have enough time, pay a visit! Open: Tuesday to Saturday, 10:30 am to 6 pm. Last admission is at 5 pm. Accessibility note: Sorry, this museum is not wheelchair accessible (only stairs). You should know that for some exhibitions and museums in St Petersburg (but not all) ticket prices for foreigners are considerably higher than for Russian citizens. Nevertheless, they are still not that expensive compared with those in the Western countries, so don't worry! To get the best out of your visit to St Petersburg we recommend paying for a tour guide as by doing this you not only jump the queues to all of the sites (museums and palaces), but you get a wealth of information, so you see more and learn more. And, the guide will also ensure your safety. If you arrive by cruise ship, remember that hiring a local tour guide is cheaper than booking a tour through the ship/ferry company, plus you will have the advantage of touring individually. If you want to avoid long lines, especially during the high season, which is from May to August, keep in mind to buy entrance tickets to the most popular museums and/or palaces in advance. You can do that on-line by yourself through the official website's museum, or with the help of a tour guide or a tour company, if you book one. For your information, not all the museums offer the chances to buy tickets on-line like the Hermitage, and many are still in Russian language only. By now you should know that there are many museums in St Petersburg to explore, and as I said early, they all are really worth visiting, but you can't see all of them in one day, time and planning is required beforehand. For first time visitors we recommend the Hermitage and Russian State Museum; the museum of political history; the museum of art design at Marble Palace, and the Faberge Museum. Take note that most museum ticket offices close one hour before the official closing time. Also remember most museums ask you to buy an extra photography ticket if you would like to take photos or videos. Lastly, if you're planning to visit the Hermitage on your own, then I suggest to download the Hermitage App. It is free and it will give you a comprehensive coverage of the enormous number of exhibits in this wonderful museum.